OK. So last night was the Vodafone NZ Music Awards. I’ve attended these in the past, and really enjoyed the event. It is a celebration of a lot of hard work, blood, sweat and tears that our Artists have endured. It is their night. I love the fact that Lorde has achieved so much. And seeing her growth over the last year is a joy. I love the fact that through the event I am introduced to Artists I haven’t really paid attention to. Broods, Tiny Ruins. Brilliant. I love seeing people perform that I haven’t before. I enjoyed Benny Tipene. I thought the tribute to Supergroove was excellent. Loved the arrangement. However, I wasn’t at the event. I was watching it on TV. And I had to get off Twitter. I was horrified at the absolutely appalling coverage and production that Mediaworks subjected us to. Shannon and Dai were OK. A little off beam with their banter but it came good. The rest of the presenters… well. Jono and Ben were a disgrace. Their banter. Their crass attempts at humour. They lowered the standards to a point where I felt it was completely disrespectful. I understand the need for production costs to be covered, and the support of a broadcaster is critically important to an event such as this. I don’t understand the need for the broadcaster to roll out all the ‘stars’ (and I use that term loosely) to be involved in what was really an exercise in self-promotion. Why was The Block NZ represented? What’s that got to do with NZ Music? Why on earth would you have an award presented by people who (yes, they’re judging X Factor next year – oh, right) don’t know the artists receiving the award and have a script saying how much they love them… LIES. All for the sake of promoting another Mediaworks show. When writing for an event like this, the question needs to be asked of every idea: “Is this adding to the event or detracting from it”? Clearly a step missed by Mediaworks. It was good that the event was less politicised than in previous years, but by the end of the broadcast I felt let down. Disappointed. 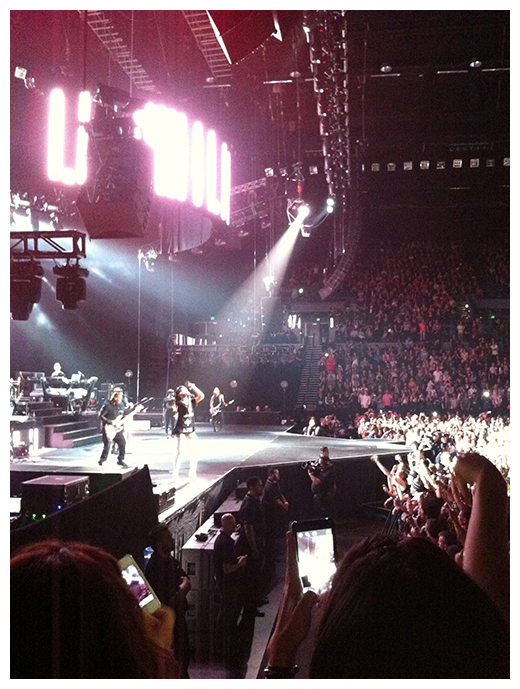 So I unexpectedly got the opportunity to see Rihanna play Vector Arena in Auckland last night. Honestly, I only really have a vague familiarity with her music. Except perhaps for ‘Umbrella’, which I had the misfortune of having to sing in a Singstar game against a friend and her two daughters. Over and over and over, as it was their (then) favourite song. I didn’t have huge expectations, but I was looking forward to seeing a show. About 30 seconds into the first song, I realised that I was watching my second-favourite guitarist* ever, Nuno Bettencourt. This changed my concert experience instantly. I loved the performance of the show. 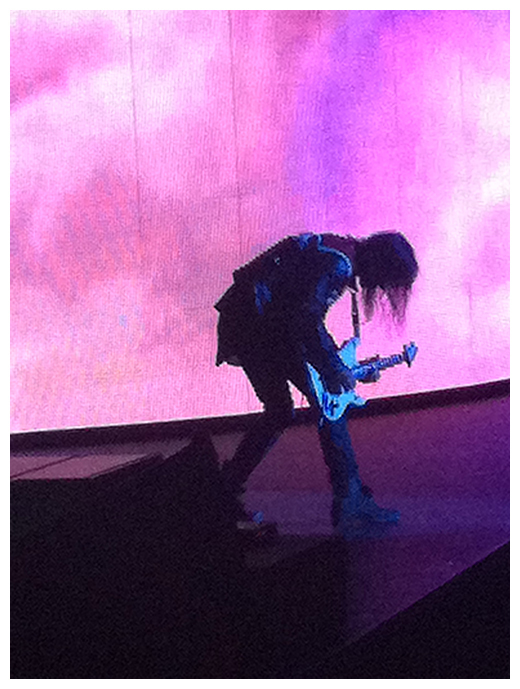 I loved the musicality of the show. It looked like Rihanna was also enjoying herself. * my first-favourite guitarist is Steve Lukather.